The magic of her rich, melodious voice, her sense of proportion and the emotional content of her singing are some of the qualities that have made her one of the foremost and most popular vocalists since the last fifty years. She is the first Indian classical vocalist who has done pioneering service to popularize vocal music in the west. She has numerous recordings to her credit and has lent her voice to many films, including the Academy Award-winning ?Gandhi' by Sir Richard Attenborough. 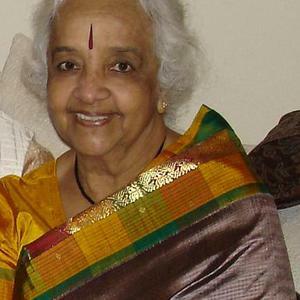 She is at present a recipient of the Durfee Foundation (L.A.) to teach Indian music to American students.